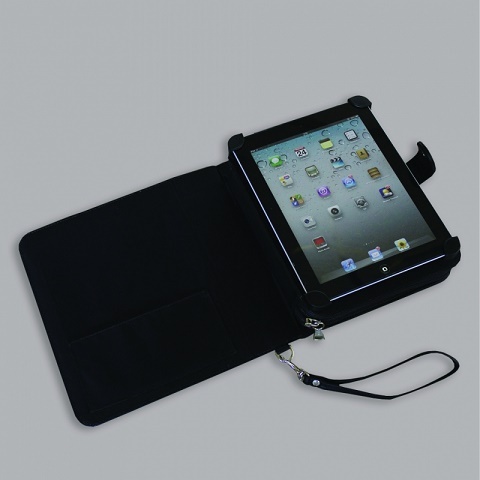 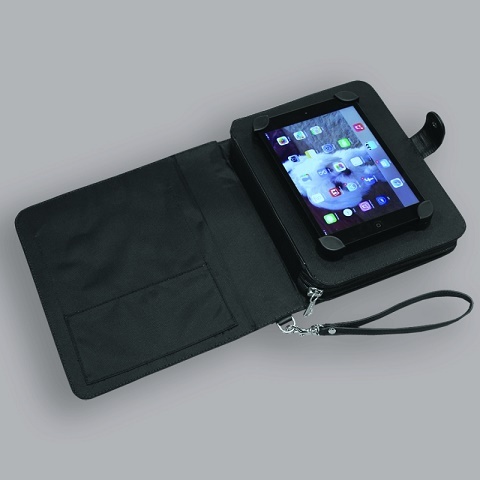 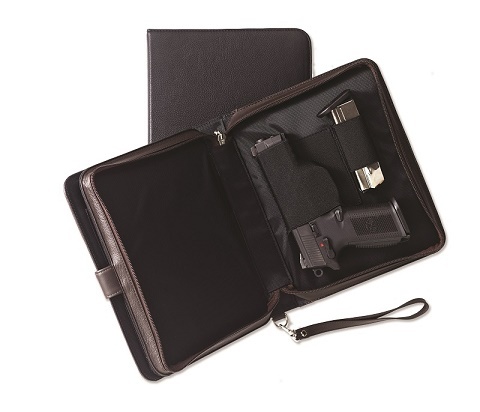 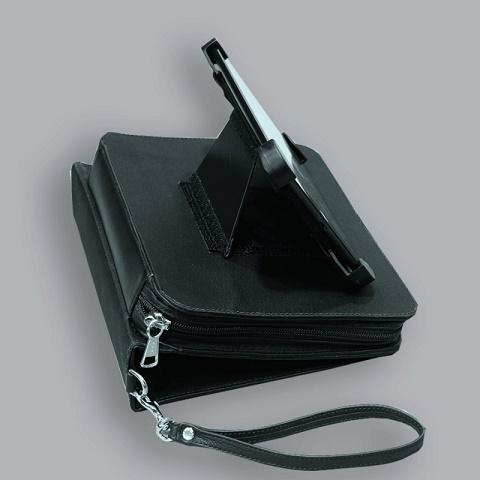 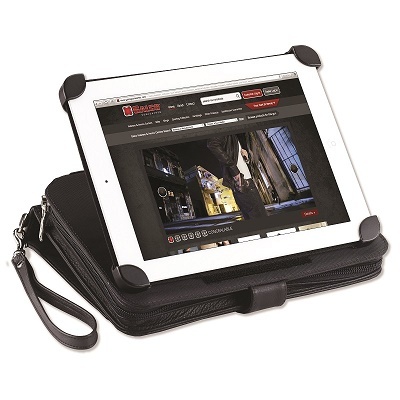 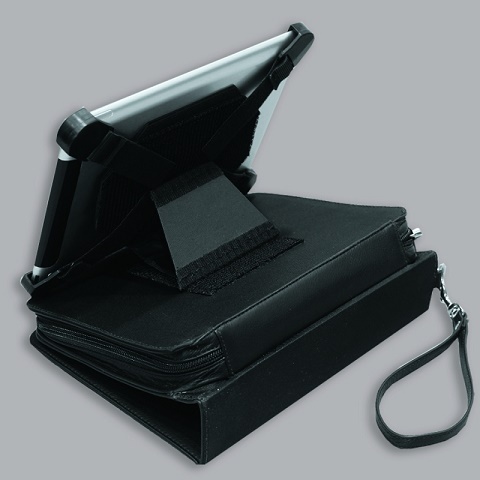 The Leather iDefense - Tablet with Concealed Gun & Mag Holster by Galco allows you to carry a tablet computer, plus a concealed gun and mag case. 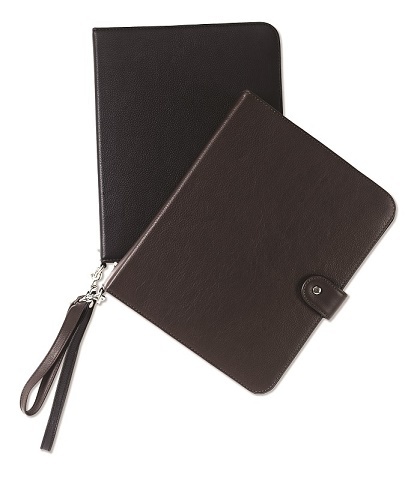 Ambidextrous. 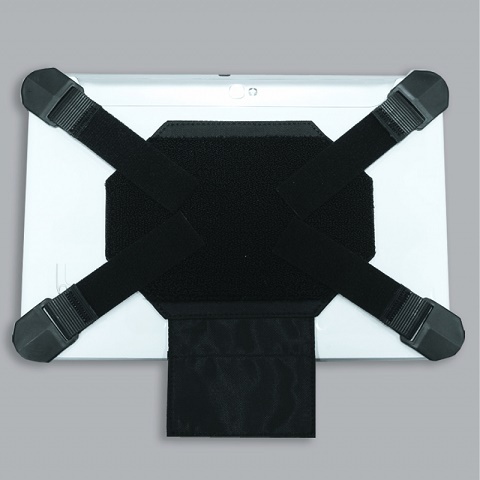 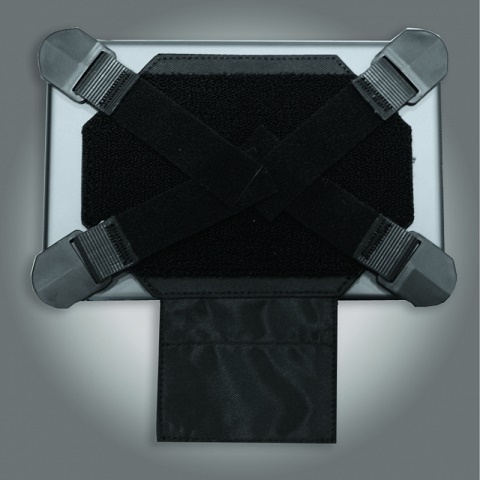 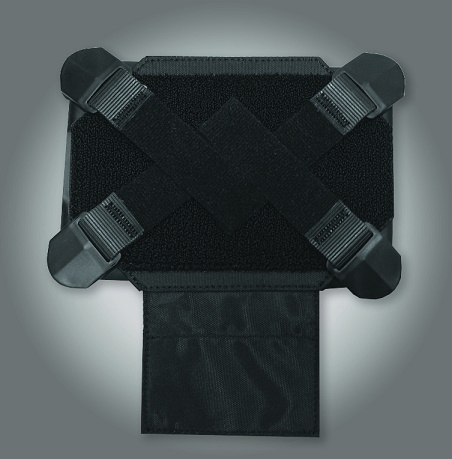 The tablet is held in place outside the gun compartment on a sturdy backing plate that’s fully adjustable for tablet angle. 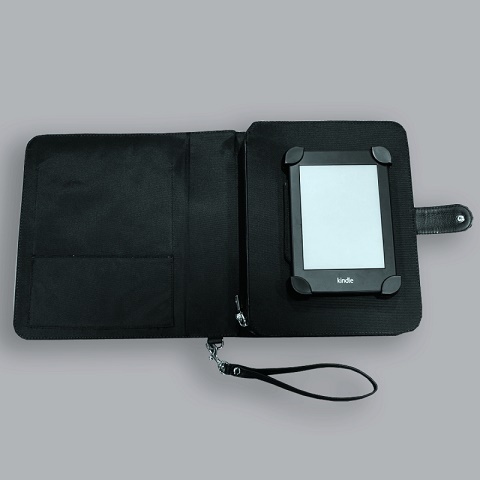 Per Galco: The iDefense accommodates tablets and e-readers up to 10" long, 7.5" wide, and 3/8" thick, like Kindle, Kindle Fire, Nexus 7, Galaxy Note 10, iPad Mini, iPad Air and 1st - 4th generation full-sized iPad.